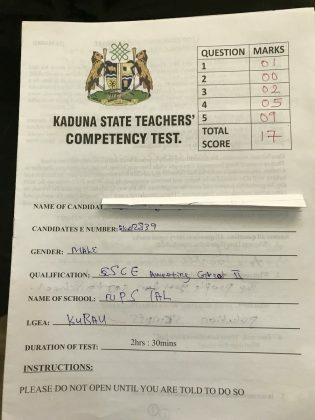 Nasiru Umar, Kaduna: The Kaduna SUBEB wishes to inform the general public that, the list of successful applicants for the just concluded written test and oral interview for teaching appointment into the State’s Public Primary Schools has been released. Successful applicants should check, sign and collect letters of appointments at their respective Local Government Education Authorities where they were interviewed from Tuesday 27th Feb. 2018; while those from other states to collect their appointment letters at SUBEB Headquarters. All successful applicants are reminded to come along with any of the following means of identification, National ID card, Driver’s licence, E-passport, Voters card as well as two recent passport photographs, original and photocopies of credentials for documentation.